Non-Smoking Cabin near Gatlinburg - "A Bear Adventure"
Welcome to "A Bear Adventure," a charming 2-bedroom, 2-bathroom non-smoking cabin near Gatlinburg! 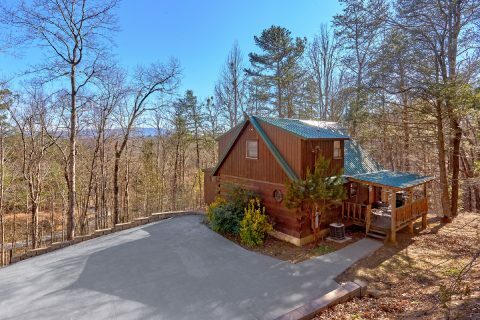 This cabin lets visitors enjoy a relaxing mountain retreat with its comfortable cabin interior as well as a location that allows you to enjoy the fun and excitement of Pigeon Forge, Gatlinburg, and the Great Smoky Mountains National Park. 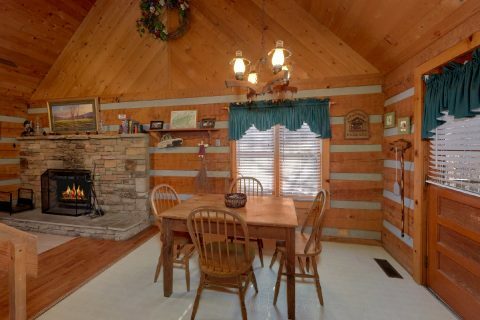 Inside your cabin, you'll find a warm, welcoming interior that invites you to stay awhile. 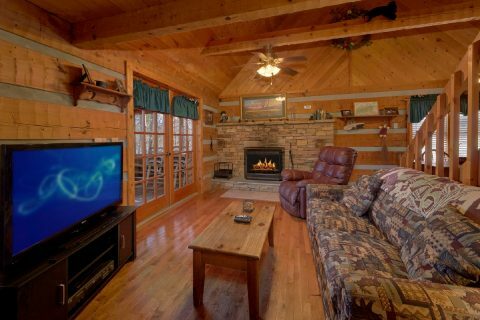 The cabin's wood-burning fireplace provides the perfect setting to enjoy the company of friends and family while watching the cable TV. 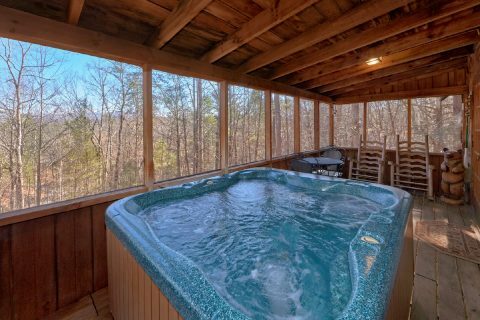 You'll forget your cares and worries in the warm, soothing waters of your cabin's jacuzzi tub or the hot tub. 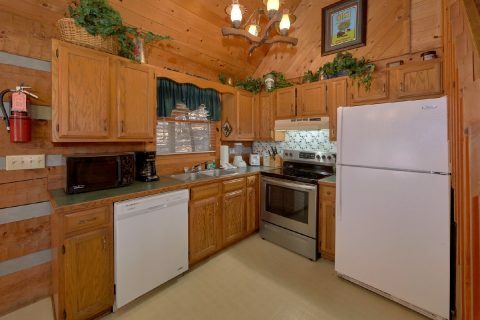 Your cabin also offers entertainment options. 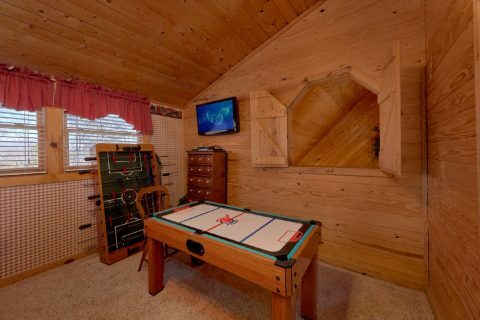 Upstairs, the foosball table let you partake in some friendly competition on a mountain game night. 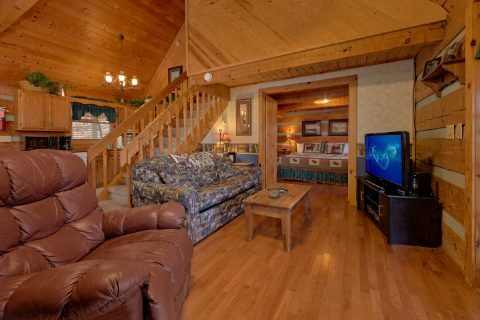 The cabin's WiFi lets you stream your favorite games as well as enjoy keeping up with friends back home. 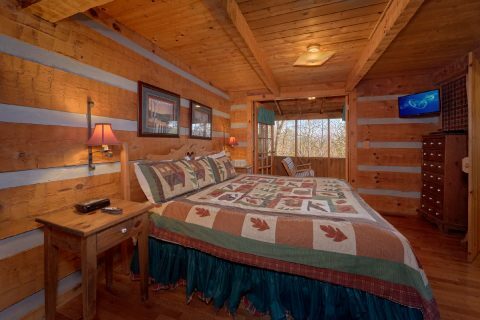 Whether your ideal cabin day involves relaxation or play, you'll enjoy ending the day in one of your cabin's 2 king bedrooms. 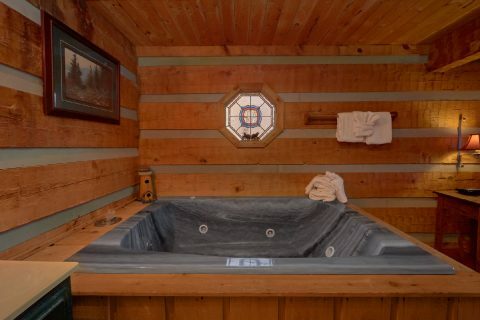 The master suite on the main floor offers a relaxing jacuzzi a, a king bed, and a door to the back deck. 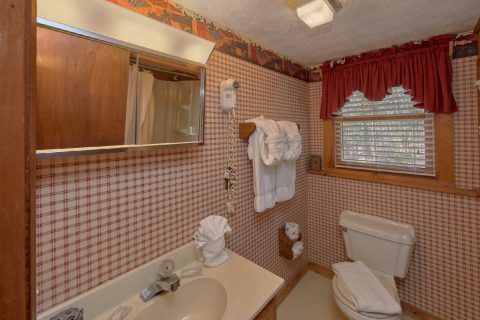 An additional king bedroom is found upstairs. 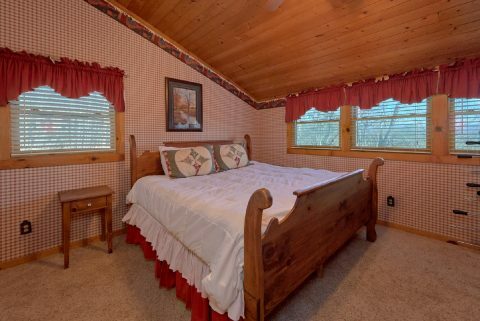 A queen sleeper sofa provides additional sleeping space if needed. 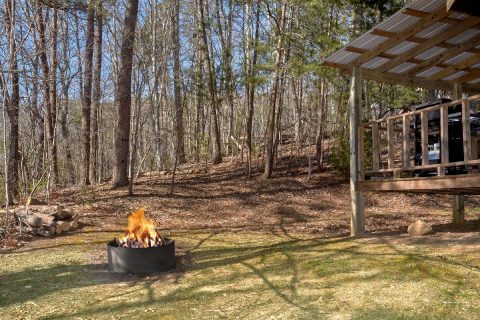 You'll also enjoy the comfort and convenience of this cabin's practical amenities, including a washer and dryer and a dishwasher, on your stay. 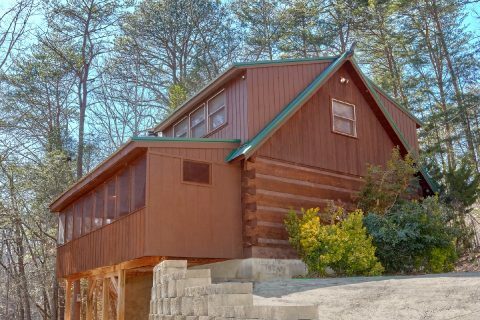 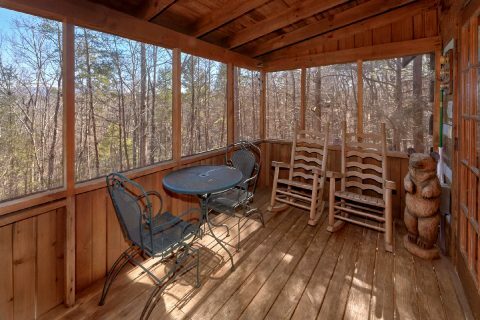 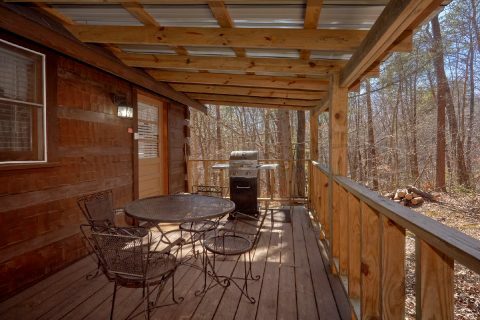 Start planning your adventure to this non-smoking cabin near Gatlinburg! 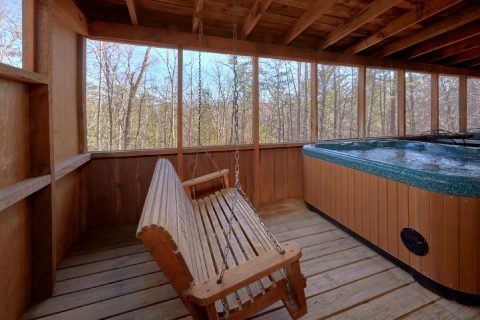 Even better, reserve "A Bear Adventure" online and receive a 15% online booking discount!